What if we told you that there is a diet that has shown in a number of large studies the ability to help people lose weight, improve heart health, prevent diabetes, and cut cancer risk, among other benefits? And, what if this diet achieves all that while including tasty foods from every food group without requiring a heavily restricted calorie intake? Well, that diet exists, and it’s no new fad. Nearly two decades after its debut, Dietary Approaches to Stop Hypertension, or the DASH diet, continues to earn nods from the medical community. Earlier this year, U.S. News and World Report named DASH Best Diet Overall for the seventh year in a row. But DASH never earned the buzz that, say, the Mediterranean or Weight Watchers diets have. Some experts chalk it up to marketing. The Mediterranean diet, for example, calls to mind glamorous Italian shores and beautiful Greek Islands, and their corresponding cuisines, which may help make its guidelines easier to follow. It may also be because DASH was designed to target those with high blood pressure, or hypertension, but pretty much anyone can benefit from this plan. Ditto for alcohol and caffeine, which can raise blood pressure. But it’s not just what you eat. A healthy lifestyle is important, too. Manage your weight to lower the risk of hypertension, heart disease, and other chronic conditions. For best results, work with a health professional to create a weight management plan. Stay active to lower heart disease risk and maintain a healthy weight. Say no to tobacco, which damages nearly every organ, including the heart and blood vessels. Keep blood pressure in check. In the original DASH trial, participants assigned to the diet showed substantial drops in blood pressure, regardless of their gender, ethnicity, race, or whether they had hypertension. That suggests that DASH may not only reduce blood pressure for those who already have hypertension, but can also prevent it. Improve heart health. Studies have linked a DASH diet to reduced cholesterol levels, as well as a lower risk of heart disease and stroke. Prevent type 2 diabetes. A 2017 review of 48 studies found an association between the DASH diet and a significantly reduced risk of developing type 2 diabetes. Shed pounds. Some studies have suggested that DASH, in combination with other lifestyle changes such as exercise, could help with weight loss. In a 2006 study, researchers assigned 810 adults with borderline or mild hypertension to three groups. Those in the first group received recommendations for regulating their blood pressure, while those in the second group aimed to restrict their sodium and alcohol intake, exercise, and lose weight. Adults in the third group implemented the same lifestyle changes as those in the second group, but were also instructed to follow DASH. Over a year and a half, the DASH dieters dropped the most weight, losing 9.5 pounds on average — about a pound more than the other dieters and just over 6 pounds more than the non-dieters. Cut gout risk. In a 2017 study of more than 44,000 men between ages 40 and 75, Harvard researchers found that the more similar their diets were to DASH, the lower their risk of gout, a painful joint disease that tends to strike men over 40, caused by high amounts of uric acid in the blood crystallizing around the joints. Strengthen bones. Studies have found that the DASH diet can reduce bone turnover — the replacement of old bone with new bone — which may improve bone density and lower the risk of osteoporosis. Protect your kidneys. In a 2016 study of nearly 15,000 middle-aged men and women, those with diets closely resembling DASH had a lower risk of kidney disease. Kidneys are filled with blood vessels that filter toxins and waste from the body, says Casey Rebholz of Johns Hopkins University’s Bloomberg School of Public Health, who led the study. “Because dietary intake can influence blood pressure and create vascular disease,” Rebholz says, “the DASH diet and dietary intake in general can also influence kidney disease.” Her research team has also found that diets with high overall acidity — from foods like meats and cheeses — were associated with a higher risk of kidney disease. While DASH is healthy for most people, experts don’t recommend it for those who already have kidney disease. They may have trouble regulating potassium and other minerals integral to the diet. “Once people start to develop a disease like diabetes or kidney disease, they should certainly talk to their doctor about what is an appropriate diet,” Rebholz says. Keep your memory sharp. In a 2015 study of more than 900 people, those who strictly followed the Mediterranean-DASH Intervention for Neurodegenerative Delay, or MIND diet — a cross between the Mediterranean and DASH diets — reduced their risk of Alzheimer’s disease by up to 53 percent. Even those who followed the MIND diet only moderately lowered their risk by around 35 percent. Curb cancer risk. A 2010 study of around 87,000 women and 45,000 men found that those whose diets resembled DASH had a lower risk of colorectal cancer. Canadian researchers saw a similar trend in a 2015 study. Another study of about 87,000 women found that the more closely they followed DASH, the lower their risk of estrogen receptor-negative breast cancer, which doesn’t respond to estrogen therapy. Frustrated by failed diets and daunted by the idea of starting anew? The DASH diet is easy to follow and maintain. Rather than eliminating certain food groups (à la the paleo or vegan diets), “DASH includes all the food groups,” says Sonya Angelone, a registered dietitian nutritionist in San Francisco. The main goal is to improve health, not lose weight. “It really requires eating more healthy foods,” Angelone says. 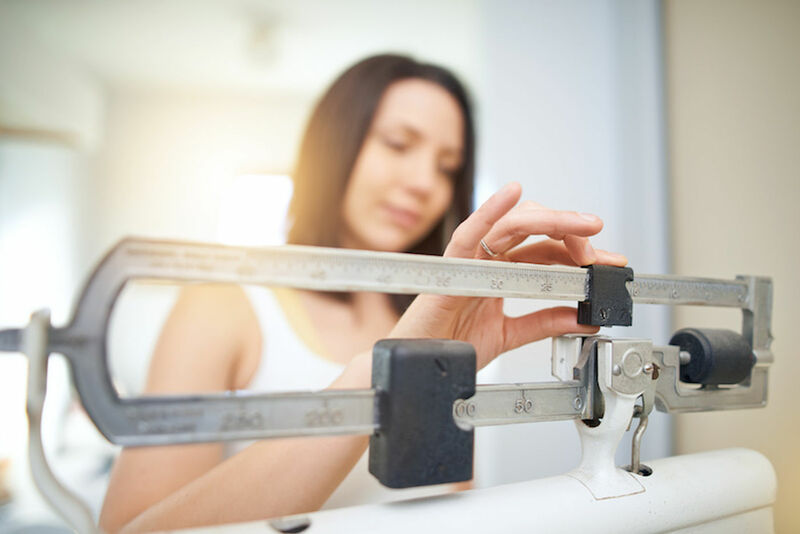 “The reason weight loss doesn’t stick is because people don’t keep those restrictions for life.” DASH is also tasty and practical, using foods easily found at the grocery store, says Toby Smithson, a registered dietitian nutritionist in South Carolina. Of course, the health effects of going on any diet may be different for everyone, so check with your doctor first. Pile on the produce. Fruits and vegetables should take up about half your plate, although Angelone recommends emphasizing veggies, since they contain more fiber, and less sugar and fewer calories than fruit. Whole grains should occupy a quarter of the plate, lean protein another quarter. Take baby steps. Start with one DASH meal a week, Smithson says. If you’re eating four servings of veggies a day, add one serving at lunch and one at dinner. Go easy on your gut. Increasing your fiber intake too quickly can leave you feeling gassy and bloated. If you have digestive issues, yogurt or a supplement containing a digestive enzyme, like Bean-o can help, Angelone says. Snack smart. Don’t sweat it if you have trouble working all the DASH food groups into each meal. “That’s what snacks are for,” Smithson says. “It’s an opportunity to fill in the gaps of nutrition.” Don’t like eating fruit at breakfast? Munch on some as a snack. Keep whole grain crackers, Greek yogurt with berries or other DASH-friendly snacks on hand at the office to curb hunger and avoid relying on the vending machine, Angelone says. Stretch your dollar by shopping locally and seasonally, bulking up on beans, and keeping an eye out for sales, Smithson says. Frozen fruits and vegetables are cheaper and sometimes even healthier than fresh produce. That’s because they’re picked at peak ripeness, when they contain the most nutrients. Fresh produce tends to be picked before it turns ripe, allowing it less time to generate a complete array of nutrients. Make DASH-friendly substitutions. Swap out butter for vegetable oils, and salted nuts for low-salt or unsalted varieties. An easy hack for meat lovers: Top your lean meat with mushrooms. This way, “you add in more vegetables, but you’re still getting that umami taste,” Angelone says. Microwave some banana sprinkled with cinnamon to satisfy a dessert craving and boost your potassium intake, without the added sugar. Mix all ingredients well. Serve on whole grain bread or a spinach salad, or wrapped in a whole wheat tortilla or large lettuce leaves. You can find lots of other easy recipes on Epicurious or the Mayo Clinic website. Have fun with flavors. Instead of relying on salt as an easy fix to a bland meal, get creative. Experiment not only with herbs and spices, but aromatic veggies, like garlic and peppers, or even fruit, like lemon zest, cranberries or citrus juice. Appel, Lawrence J., et al. “A Clinical Trial of the Effects of Dietary Patterns on Blood Pressure.” New England Journal of Medicine. April 17, 1997. Academy of Nutrition and Dietetics. “DASH Diet: Reducing Hypertension through Diet and Lifestyle.” Eat Right.